The very definition of a mobile mechanic is a vehicle specialist who can do what you need, where you need it done. Our mechanics complete full car services at your preferred location with recent jobs completed on Holden, Toyota and Ford. Our professional mechanics are experienced and equipped for all vehicle types serviced on location. Have it all taken care of at the best place for you, not your mechanic. Proton, Mazda and Great Wall are all attended to on the spot. dfi module, valves and heater were with the mechanic when they needed them and quickly replaced or repaired on location. 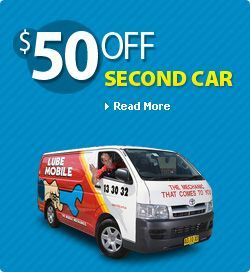 Lubemobile is Australia’s #1 fleet of mechanics operating on site wherever you need us to be. Our professional mechanics are completely mobile carrying out repairs and service work entirely on site, when you want us to be there. If your car is located in San Remo then we travel there and complete all work on the spot. There is no need to arrange transport home from the workshop or another way to get around while your car is getting a service. 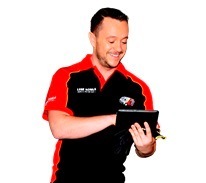 Our mobile mechanics are operating everywhere including Raymond Terrace, Lake Munmorah and San Remo. That means you can get your car repaired or serviced at work, at home, at the beach, wherever you plan to be. Over 1,236 vehicles have been attended to already in your area recently. Mechanics have completed tightening up sloppy steering , on-site tyre replacement from our fleet of specialist tyre services, and CV boot replacement. The most common vehicle services in your local area have been Log book servicing. We service and repair all vehicles including Holden and Honda. Your mechanic arrives within your specified time window and carries out everything on the spot. We do not make unauthorised repairs and you’re kept in the loop with what your vehicle needs and why. In recent months we have received over 29 positive reviews from our happy in the Newcastle. Book a mobile service or repair today for wherever is the most convenient location and time for you, and have one of our 14 in Newcastle attend to your vechicle today.